With an height of 170 feet, the Crest Tower is the highest keep of France. Its construction began during the 12th century. Built on a rocky outcrop, the Crest Tower was originally the major component of a vast fortress which dominated Crest and its valley. As the guard of the prealp and drome territory, it was throughout the Middle Ages at the heart of struggles between lords quarreling for its ownership. 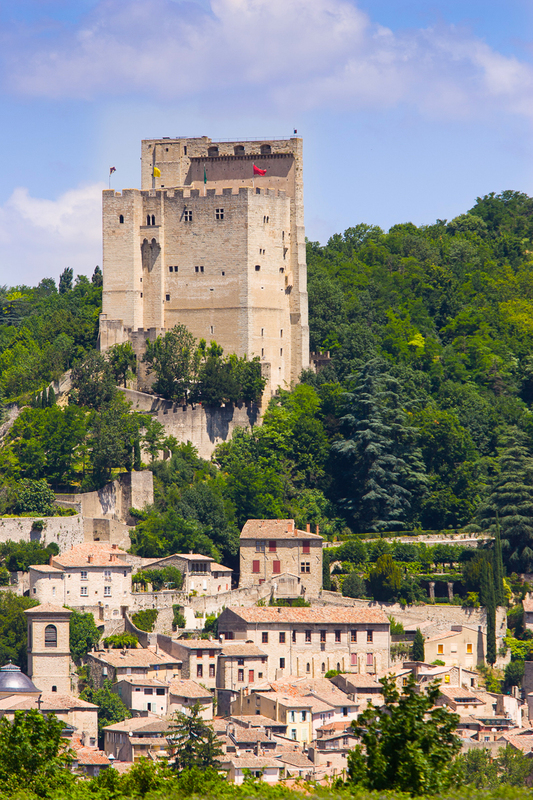 From 1419, it became the property of the French kings who granted it to several families like the Grimaldi, princes of Monaco. Louis XIII dreading the importance of the fortress, ordered its dismantling in 1633. The tower has been the only element which got away from destruction and it has been used as a jail, until the 19th century.. It became national property after the Revolution and it was listed as historical Monument in 1888.In 1988, the city bought the tower back at a private owner. The tower of Crest is considered as one the most beautiful buildings of the medieval times. It was originally the masterpiece of a fortified set, which has now disapeared. The deterrent keep represented the strategic bases of defensive operations, a shelter in case of attacks and the symbol of the lordly power. The tower of Crest remains a perfect example of an architectural defense system of the Middle Ages, with its impressive dimensions : 105 feet long and 66 feet wide and a height peaking at 170 feet. Harrows, breaches and arrow slits are the main architectural elements of the strategies formerly used against opponents. The tower was also a living place for lords. Its 15 rooms are just so many places for discovering life and society in The Middle Ages. 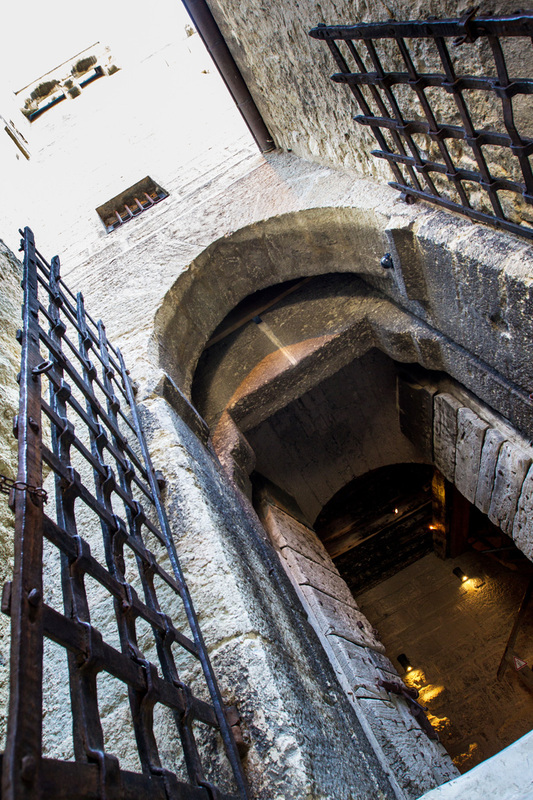 From the 18th century, because of its inviolability, the tower became a well-known prison . As a repression spot towards protestants, the tower kept in custody many political prisoners, people from good families put on jail by Royal letters and also Common law prisoners. As the guard of the Order established by the Royal arbitrariness, the tower was called the « bastille du sud » during the 18th century. In 1851, THE Opponents of Napoleon's coup d 'etat remained the last prisoners to be kept in the tower. The tower of Crest has kept indelible marks of this past. Hundreds of graffiti cover up its walls representing prisoners' pains and hopes. 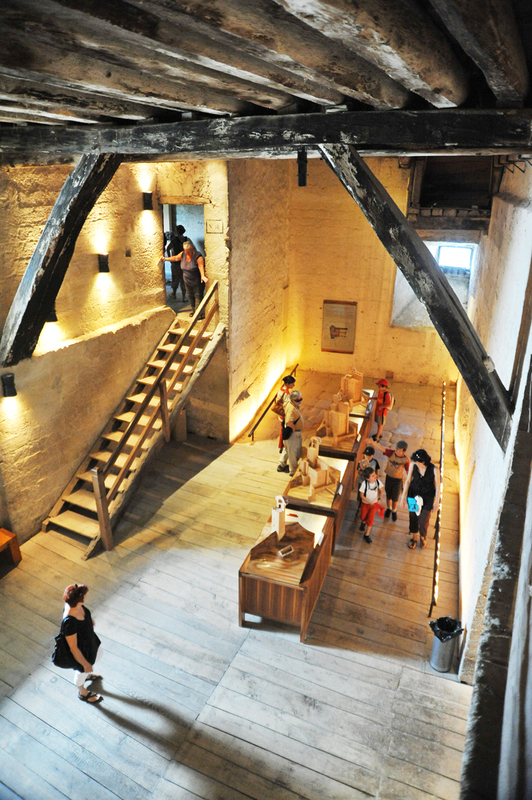 Signings, dates, drawings and texts from the 17th century are to be seen within the tower.